Rumours of dumping of substandard plastics waste into India after Chinese ban on such items are making the life of plastics recyclers and reprocessors miserable and stuck up at work. 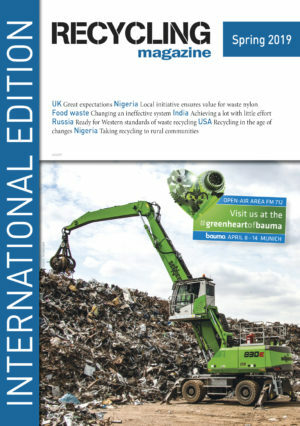 Owners of 30-odd plastics recycling units, reprocessors in the Special Economic Zones (SEZs) and Export Oriented Units in the country are understood to be making a beeline to the Ministry of Environment & Forests to set aside a rule that it has imposed banning import of solid plastic waste into the country. As per Government Notification G.S.R 178 (E), dated 1st March 2019, solid plastic waste has been prohibited from import into the country including Special Economic Zone and Export Oriented Units with immediate effect. However, plastic units located in Kandla and other SEZ are importing only virgin plastic waste which is not hazardous in nature as per prevailing Plastic Policy. 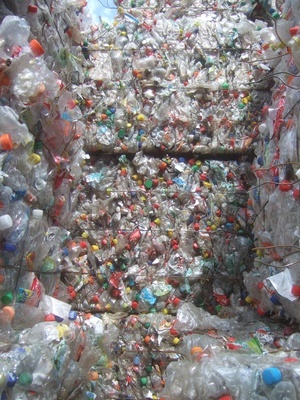 “The clean waste that we are importing in the form of virgin plastic are different from solid plastic waste,” said an owner of a plastic recycling unit in Kandla, on condition of anonymity. According to him, the government seems to have misunderstood the issue, based on misinformation fed by some non-government organisations (NGOs) regarding plastic waste imports. Under the guidance of Commerce and Industry, the units have, in fact, taken various initiatives to increase the export component of their business. “We have done R&D and developed new customers abroad. We have also invested and new machines to serve the new clients. On the basis of the renewal of Letter of Authorisation from the ministry, such units have lined up heavy investments towards Capital Goods. The ban is resulting in idling of the imported costly machinery which has been installed already,” said another member of the Ahmedabad unit of plastic manufacturers association. “Some machines are on the way for delivery,” he said. The plastic units cumulatively have achieved 35% of export in proportion to their annual turnover as per the Plastic Policy Guidelines. However, it is difficult for them now to achieve the targeted export value. The industry employees over 10000 directly and nearly 20,000 indirectly, with women having the majority. According to the two players quoted above, a turnover equivalent to $400 crore is at stake due to the recent development. As much of the investments have been made using financial borrowings from banks, the hasty decision of the Ministry of Environment and Forests will turn most of the loans into non-performing assets on bank books, they aver. The industry has now sought an appointment with the ministry to find a solution to the pressing problem. The Circular Economy Accelerator wants to bring together forward-thinking companies to proactively pursue policy solutions to catalyze the circular economy for good.